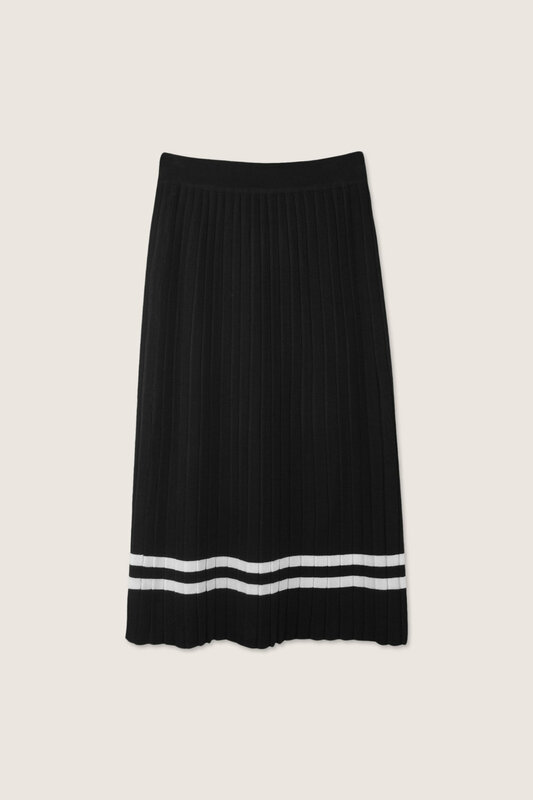 A preppy inspired piece, this knit midi skirt features pressed pleats and white stripes at the hem for a retro feel. Cut from a soft cotton-blend sweater knit with an elasticated waist, this skirt feels great on. Style this skirt with a white t-shirt and sneakers for a chic weekend look.